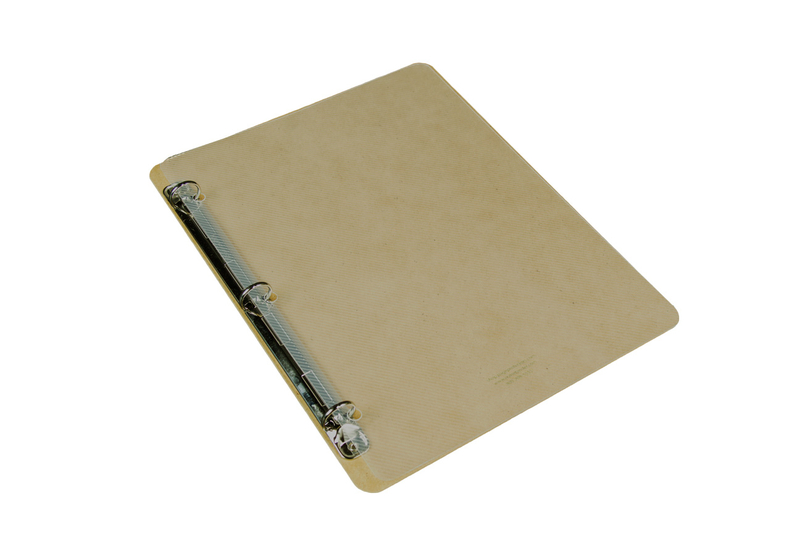 Ringboards afford more security to valuable documents than regular clipboards, versatile rigid wider hardboard panels support work as you write or reference. Natural beauty of wood. Quiet in operation. Nickel plated 3 ring binder rings. Optional clear lined Poly pro rain guards, added protection to write in rain. Available nylon zipper bags. Protect, secure 11 x 17 engineering documents, field inspections, Project management drawings, Durable will not split or crack. OVERSIZE Brown hardboard panel is 12 x 20 inches. D ring metals standard 3 ring spacing. 1 inch Capacity Project Mangers support papers with one hand while writing. On site use. 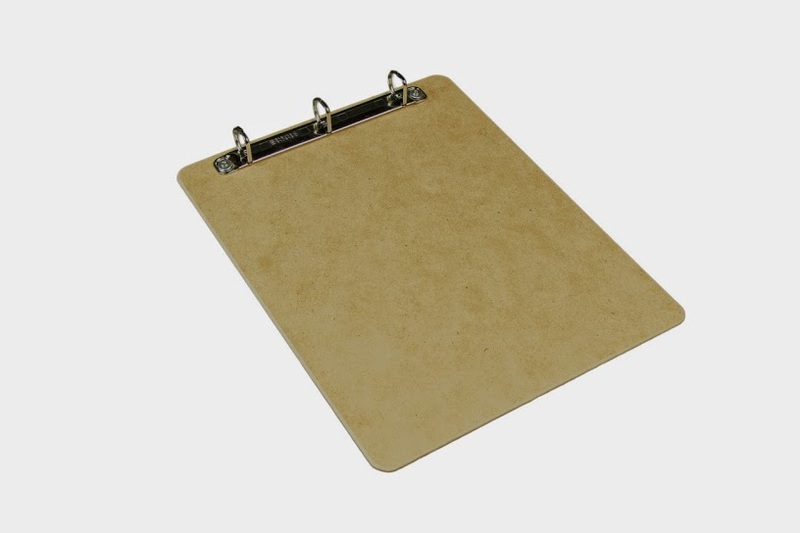 100% Recycled Hardboard Clipboard. Legal size documents 8.5 x 14 used for enterprise, industrial inspections menu clipboard. Hardboard is brown smooth two sides rounded beveled edges. 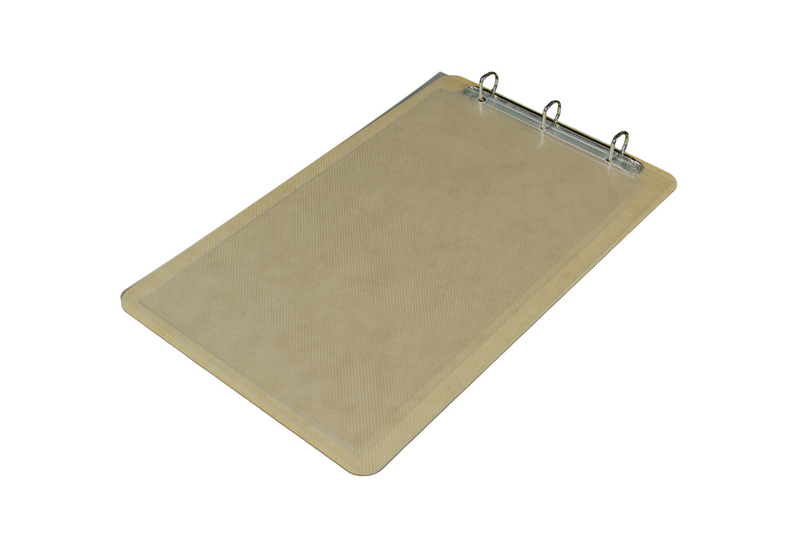 OVERSIZE 16x10 Hardboard clipboard panel considered a green engineered product. Highly compressed, heat, dry air, Ghibli. Unlike solid wood hardboard is very homogenous with no grain. D ring 3 ring metal 1 inch capacity on short side, ring spacing is 2.75, 2.75, 5.5 OSC. Plastic rain cover. Project Mangers support papers with one hand while writing. On site use.100% Recycled Hardboard Clipboard.